If you’re looking for a plumber in Richmond or Central VA, our plumbing staff can solve your problem. Our plumbers are professionals with many years of experience and can handle minor or emergency plumbing repairs as well as major plumbing overhauls. Being without hot water is a huge inconvenience! R.J. Tilley can repair or replace all types of water heaters, including electric, gas, and hybrid water heaters for your home or business. 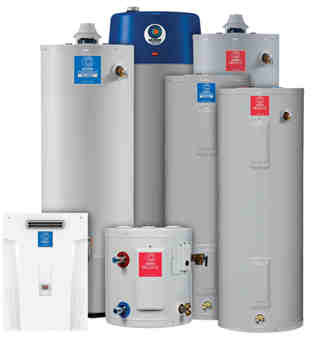 If you’re looking for a water heater upgrade, we have several options including water heaters with warranties up to 20 years! For an efficiency upgrade, consider replacing your current water heater for a tankless water heater for instant, and virtually unlimited, hot water! Many years ago, we started helping our customers with more than just fixing or replacing plumbing fixtures, and now we’re also a trusted Richmond, VA remodeling company. 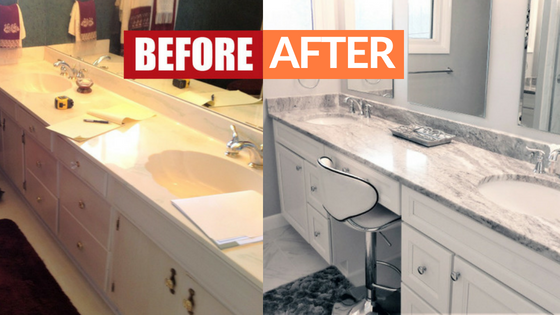 Our team can handle kitchen remodeling or bathroom remodeling jobs of all sizes. If you need design help or inspiration, visit our kitchen and bathroom showroom, where you can find the latest plumbing fixtures, including sinks, tubs, and showers, as well as variety of natural stone samples. R.J. Tilley has been delivering superior customer service in the Richmond, VA area for 40 years. We have grown over the years, by stating the phrase, “We Can Fix That”. Whether it’s residential plumbing repairs or kitchen and bathroom remodeling, we do it all. 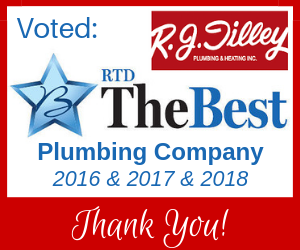 Since 1976, R. J. Tilley, located in Glen Allen, VA, has been servicing the plumbing needs of Richmond, VA and the surrounding areas. We’re specialists in all types of residential and light commercial plumbing and kitchen & bathroom remodeling. We pride ourselves on doing the job right the first time. Every job, every customer, and every property is treated with the utmost respect. Learn more about our company or contact us today. We’re always looking for great people to join our team. If you’re looking for a position, be sure to see our Careers page.